Being in a car accident can be a stressful and chaotic experience. However, you can educate yourself now so you are as prepared as possible in the event of one. Below, you will find the steps of what to do after an accident. While it’s impossible to know if and when an accident will happen, you always need to be prepared for one. Have your important information, such as vehicle registration, insurance information, contact information, etc., at the ready. Be aware of your policy so you know what your insurance covers in the event of an accident. You don’t want to find out after the fact that your insurance doesn’t cover a rental car or roadside assistance. If you are able to, move your car to the side of the road. Leaving vehicles in the middle of the road can cause additional accidents and injuries. If you aren’t able to move your car or it’s un-drivable, turn on your hazard lights so other vehicles will slow down. If possible, check on the other drivers and passengers to see if they are okay. If there are injuries, you should immediately contact 911 for medical assistance. It’s important that you stay at the scene until the police have arrived, even if the accident is a minor one. If the police aren’t able to make it to the scene (which may happen if the accident is small and there are no injuries) you will need to file your own accident report at a police station or the DMV. 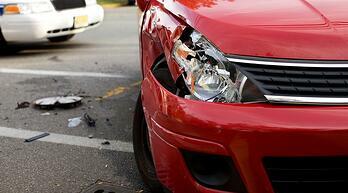 Take photos of the damage done to both your vehicle and any other vehicle that was involved in the accident. Make sure you get a copy of the accident report from the police. Ask them at the scene how you would go about doing this. Try and get the names and contact information from everyone at the scene. This includes police officers, passengers in the cars, and any potential witnesses. This will be helpful during the claim process with your insurance.